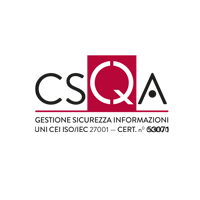 Qualified by certifications from Italian and international bodies such as CSQA and PCI Security Standards, CryptoNet Labs is in turn empowered to issue certificates of security and compliance with industry regulations. 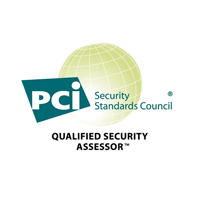 Accreditation as Qualified Security Assessor (QSA) from the PCI Council enables us to carry out on-site audit requests from the PCI-DSS standard and to issue merchant and service providers with the certification conforming to that standard. ISO 27001:2017 certification certifies that the information security management system complies with the standard. The purpose of the certification is the design and provision of services in the field of cybersecurity: vulnerability assessment and penetration test. The ISO 9001:2015 certification certifies the conformity of the quality management system to the standard. The purpose of the certification is the design and provision of cybersecurity services: vulnerability assessment and penetration test. The qualification as a Company / Laboratory that carries out tests of Vulnerability Assessment and Penetration Test, based on ISO 17025:2005, enables us to perform tests against standard registrars, operators of trust services EIDAS and SPID.